The Best Books of 2018: Science Fiction & Fantasy! 10 Foundryside by Robert Jackson Bennett (Crown) – This first volume in a projected trilogy from City of Stairs author Robert Jackson Bennett follows the adventures of a virtuous young thief who gets embroiled in the attempts by a guarded cabal to warp the very fabric of the magic system Bennett has set in place here, a system in which magic is essentially a kind of arcane coding. Bennett's characters are skillfully drawn, and the world he's fleshing out here is wonderfully evocative. 9 The Monster Baru Cormorant by Seth Dickinson (Tor) – Dickinson's sequel to 2015's The Traitor Baru Cormorant continues the story of Baru Cormorant's tense personal duel with the Masquerade, and although this book is very much a sequel (despite the author's rather half-hearted attempts, this book won't make much sense to a newcomer who hasn't read its predecessor), as a sequel it's smarter and more ambitious than the first book, a richer mix of moral ambiguities. 8 Blackfish City by Sam Miller (Echo) – A mystery woman riding a killer whale to a floating Arctic city with a polar bear as her squire … Miller fills this fast-paced book with baroque inventions like these, but there are deeper purposes at work, social and political commentaries of types that have long pedigrees in SFF. Like many of the entries on this list, Blackfish City is about a broken place and broken people, and yet a thin thread of optimism runs through the book. 7 The Cloven by B Catling (Vintage) – The third and final volume in B. Catling's amazing Vorrh trilogy builds with confidence and speed to a long and thrilling climax worthy of the off-kilter genius of the previous two volumes, a climax that pits the Vorrh against the forces that would destroy it – and features pitch-perfect resolutions to the story-arcs of some of the best characters in modern fantasy. 6 The Sky Is Yours by Chandler Klang Smith (Hogarth) – Empire Island, the vaguely dilapidated future city location of Smith's arresting debut, is the setting for strange dislocations and squalid dramas, all of which are literally overshadowed by the dragons that patrol the city's sky and tend to strike its inhabitants at random. Smith blends all of this to create a place of endemic tension and release-valve revelations that's unique in contemporary SFF. 5 Red Moon by Kim Stanley Robinson (Orbit) – Virtuoso science fiction author Kim Stanley Robinson's terrific new book Red Moon joins a long tradition (in fact one of the longest in the genre) of speculative fiction revolving around humanity's connection to the moon. In this book set in the not-too-distant future, humans have colonized the moon – and brought with them all the kinds of murder and corruption they perfected back on Earth. As usual with this author, the resulting story is hugely textured and readable. 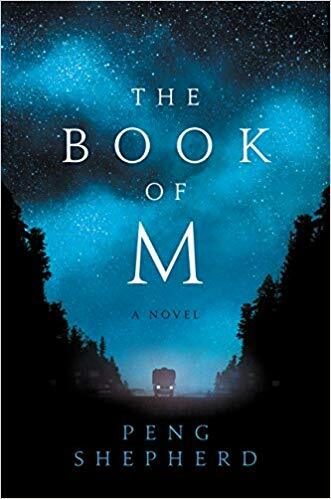 4 The Book of M by Peng Shepherd (William Morrow) – The strange malady at the heart of Peng Shepherd's debut – people all over the world are losing their shadows, gaining eldritch powers, and simultaneously losing their memories – is one of those baggy allegories that tends to bring out the laziest shortcuts in fantasy writers. But Shepherd's story is lean and consistently surprising, an elegant meditation on the nature of identity. 3 Port of Shadows by Glen Cook (Tor) – A new Glen Cook novel featuring the return of his legendary Black Company is automatically cause for rejoicing, and the best thing about Port of Shadows is that it never for a moment rests on the momentum of an adoring fan base – as in all the other Black Company novels (featuring a hard-bitten but ultimately virtuous company of mercenary adventurers), Port of Shadows works for its thrills and sardonic laughs. Long-time readers will rightly look upon this book as a pure gift, but thanks to Cook's storytelling skill, newcomers will feel right at home. 2 Only Human by Sylvain Neuvel (Del Rey) – This third book in the Themis Files smoothly elaborates on the previous two: huge alien-seeming robots have been discovered buried all over Earth, and scientist Rose Franklin (who originally discovered one back in the winning first book in the series, Sleeping Giants) and a team of specialists are desperately trying to understand the threat these artifacts pose to humanity. Thanks to the author's ability to maintain superb amounts of tension, each book reads like a free-standing invitation to this world Neuvel has created. 1 Gnomon by Nick Harkaway (Knopf) – Nick Harkaway's follow-up to 2014's Tigerman is three times as long and immensely more ambitious, a multi-layered story hinging on a murder being investigated in a future world overseen by the System, which monitors every action, every utterance, every thought – and which is embraced by most of its citizens as a place of greater safety. The murder investigation sprawls over all of human history and handily embraces half a dozen choice futurist themes, all of it written with an intelligence and energy that makes this the best SFF novel of the year.